From discreet yet globally acclaimed street stalls to Michelin-starred restaurants, Bangkok boasts a world-class culinary scene. 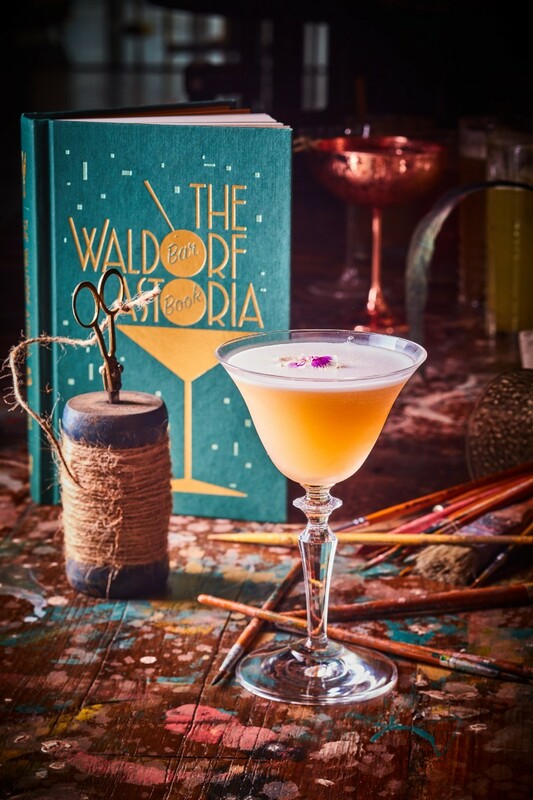 The new Waldorf Astoria Bangkok hotel which opened in August is set to elevate the restaurant and bar landscape even further. 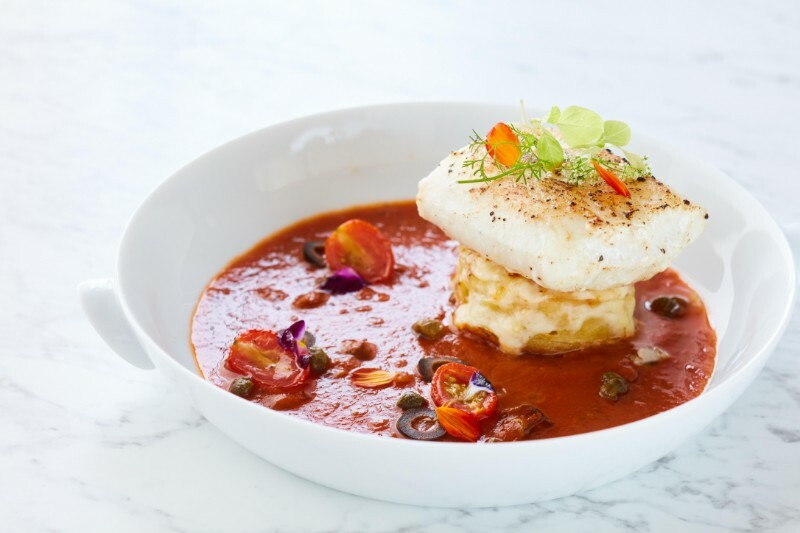 The hotel’s diverse dining concepts marry authentic Thai influences with nostalgic New York glamour, establishing the property as a culinary destination and adding a new dimension to Bangkok’s cosmopolitan and stimulating dining scene. Waldorf Astoria Hotel & Resorts brings the brand’s longstanding and iconic history in the culinary world to the Thai capital with three expertly curated and designed restaurants (Front Room, Bull & Bear and The Brasserie), a lounge (Peacock Alley) and two sky-high bars (The Loft and The Champagne Bar). Each venue allows guests to embark on new, distinctive and immersive gastronomical experiences in the heart of Bangkok’s vibrant metropolis. Having built cultural history by developing dishes such as the classic Eggs Benedict, the traditional Red Velvet cake and the Waldorf Salad, Waldorf Astoria endeavours to translate its gourmet legacy into South East Asia with a distinguished team of food and beverage industry talents at its Bangkok property. Bringing over 10 years of expertise in the luxury hospitality industry, Linda Hemels, director of food and beverage at Waldorf Astoria Bangkok, will oversee all Food and Beverage operations, while the hotel’s Executive Chef Alessandro Santi helms the entire culinary division. With over 30 years of experience in the culinary arts, including working at some of the world’s most prestigious restaurants, Italian Chef Alessandro works with Hemels and the team to introduce the innovative selection of restaurants and bars - each concept delivering the true Waldorf service whilst incorporating local inspiration, to channel a new narrative for Waldorf Astoria in Bangkok. ‘Bangkok is a leader on the global stage as a culinary capital. I took a very strategic approach when building our team, creating a mix of experienced team members and young talents. Each of them comes with their own strength and are united in their passion to serve guests and pioneer the Waldorf Astoria gastronomy legacy here in South East Asia. 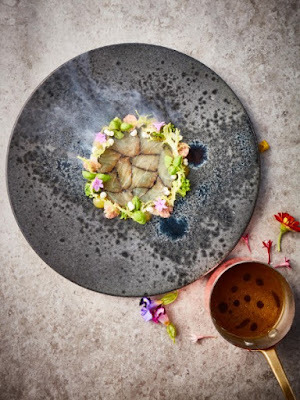 We’re devoted to shaping the property’s unique menus to present a harmonious coupling between classic flavours and a unique Thai touch.’ says Hemels. Nestled on the Lower Lobby, Front Room is helmed by multi-talented Chef de Cuisine Fae Rungthiwa hummongkhon, who returns to Thailand with a wealth of experience from multiple Michelin-star establishments across Europe, including Frederikshoj in Denmark and three Michelin-starred restaurant La Belle Epoque in Germany. Leading the hotel’s signature restaurant with an innovative Thai-inspired Nordic approach to cuisine, Chef Fae debuts her signature combination of opposites: modern and traditional, East and West. 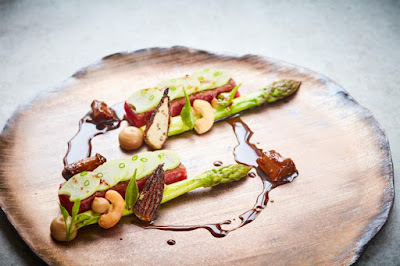 The fresh, locally sourced Thai ingredients are brought to life through Nordic cooking styles and served as a tasting menu, which include artfully created dishes such as the King of Beef course with melt-in-your-mouth Wagyu striploin, and the Raised in Chiang Rai, Cooked in Bangkok course with tender chicken, fragrant lemongrass and black rice purée. The à la carte menu showcases Chef Fae’s penchant towards antitheses, transporting diners into unknown territory to surprise even the most seasoned epicurean. Highlights include the Umami of the Sea appetizer with oyster and green cold juice, as well as the Red Sea main course with fresh sea bream, popcorn purée and corn sauce. Guests can sip on creative cocktails and paired wines amidst the classy mineral grey and tropical lime décor. Baked Camembert, Steak Frites and Beef Bourguignon are served to complete the lively Brasserie experience. 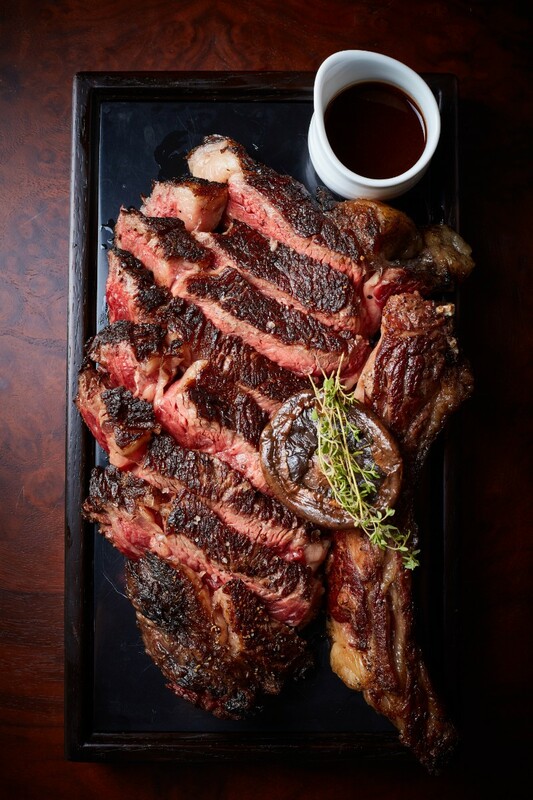 Specializing in grilled meats and seafood, Bull & Bear offers a live raw bar along with a custom-made grill designed for smoking, slow-roasting, baking and grilling. With a wide variety of menu choices, guests can enjoy the fresh Blackened Australian Barramundi with sweet corn, smoked chili and lime butter, Bone in Ribeye – a 55-day dry aged wagyu, and the one-kilogram grain fed Porterhouse. Exuding glamour, the opulent interiors, upbeat vibes and dazzling views make Bull & Bear the ultimate place to socialize, celebrate and indulge. With art deco seating, the use of bold brass furnishings and a recreation of the infamous Bull & Bear statue from New York’s Wall Street, the venue on level 55 is a vivid portrayal of the Waldorf Astoria legacy. A famed Waldorf Astoria tradition, Peacock Alley recreates typical New York glamour on the Upper Lobby of the hotel. 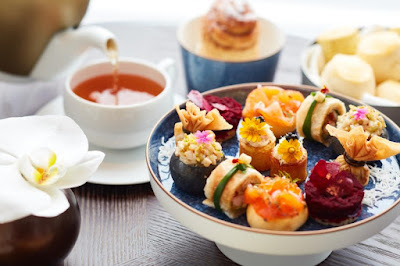 Pairing iconic Waldorf Astoria dishes such as the Eggs Benedict and sweeping views of the Royal Bangkok Sports Club, the sophisticated lounge is perfect for idle afternoons indulging in fine afternoon tea and pastries, light meals and elegant evening drinks surrounded by bronze, bright colors and warm wood. A statement spiral staircase takes guests to an exotic, glamorous, New York-inspired bar on level 56. Taking inspiration from the original 1935 Waldorf Astoria Bar Book, Head Bartender Michele Montauti and his team have crafted artisanal spirits and forgotten cocktails to the modern palate using an extensive collection of house-made ingredients, accompanied by gourmet bar bites. Renowned for his personal style, attention to detail and exceptional approach to service, Michele oversees all bar operations and cocktail programs at the hotel. lemon juice, egg white and topped with Billecart champagne. With breathtaking views, artistic décor, a standout champagne collection, hand-crafted cocktails and world-class service, the exclusive bar is set to be one of the most desirable spots in the city. Waldorf Astoria Bangkok is located at 151 Ratchadamri Rd, Lumpini, Pathumwan, Bangkok 10330, Thailand. Hilton channels have access to instant benefits, including a flexible payment slider that allows members to choose exactly how many Points to combine with money, an exclusive member discount that can’t be found anywhere else, and free standard Wi-Fi. Visit newsroom.hilton.com for more information, and connect with Hilton on Facebook, Twitter, LinkedIn, Instagram and YouTube.